As you may be aware, Hurricane Richard, a Category One Hurricane, passed over Belize on Sunday, October 24, 2010 affecting a very large area in the central part of our country. The Prime Minister of Belize, the Honorable Dean Barrow, and the Honorable Melvin Hulse, Minister responsible for the National Emergency Management Organization (NEMO), informed on October 25, 2010, that Hurricane Richard resulted in extensive material damages, with preliminary estimates amounting to over thirty three million Belize dollars in lost housing, infrastructure and damage to the citrus industry. A more comprehensive assessment of the damages to our country is under way, and while we await those results, we have been advised that the most immediate need is in the rehabilitation and reconstruction of housing for our fellow Belizeans that lost homes and properties. 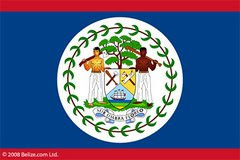 According to news reports, over two hundred homes were destroyed or extensively damaged, and the Government of Belize has emphasized its commitment to assist these Belizeans to rebuild their homes and to get back to a state of normalcy. We will keep you informed on the full damage assessment and to the efforts to rebuild after this natural catastrophe. Thank you all for your assistance and for your persevering interest in our beautiful country. Village View Post is encouraging all Belizeans abroad to donate whatever you can afford to help the families affected by Hurricane Richard, especially in Yabra and Hatteville areas.